“The penny dropped when I saw the lower ranking members wearing impala skins with spots hand-painted on them”. That was the “eureka” moment in what was to become an intensely personal quest to save the Southern African leopards from extinction. Much has been written and presented on the exceptional efforts that local conservationist Tristan Dickerson has undertaken to produce convincing fake substitute leopard skins for the Shembe church. Under the auspices of Panthera’s Furs for Life Project Tristan has achieved international recognition for his work and what he has achieved. There is even an international award-winning documentary “To Skin a Cat” which gives the full story. So, in this article we won’t repeat what has already been well documented and will rather focus on what Tristan learnt from that experience and how he has adapted and applied those lessons to guide him in his current role in conservation in the Upper Highway area of eThekwini. The fourteen years spent working with leopards produced many high and low points, but they all contributed to an intensely rich learning experience and the lessons are worth repeating as they have a much broader relevance than just saving an individual species. When faced with the incontrovertible evidence of large scale killing of leopards for their furs Tristan’s first instincts as a trained scientist were to apply simple logic; explain the law and then apply it with all its consequences. This soon led him to a dead end as bureaucracy, officialdom, traditionalism and corruption reared their ugly heads and frustrated his every move and at times placing him at great personal risk. The beginnings of a new approach occurred when a traditional tailor in Northern Zululand was found in possession of 120 leopard skins and admitted that they were all destined for elders of the Shembe church. Tristan then decided to visit one of the church gatherings to see for himself why this was happening. His worst fears were confirmed when he witnessed hundreds of followers wearing real leopard skins similar to those found in the tailor’s possession. His gut reaction was of anger and confrontation, but he soon learnt that a head-on approach was unlikely to make a difference and that traditional views were not going to be changed any time soon, certainly not at the behest of a young white conservationist. All indications were that the slaughter was going to continue no matter how many legal cases he opened or how much education he was willing to undertake with the church members. Instead he decided to educate himself on the traditions and beliefs of the church in order to see if he could come up with a solution that would work for both church and leopards. Tristan Dickerson with the Producers/Directors Greg Lomas (left) and Colwyn Thomas (right), of the documentary “To Skin A Cat” which as about the journey to produce the fake furs. Leopards are astoundingly strong. They are pound for pound the strongest of the big cats. They are able to climb trees, even when carrying heavy prey, and often choose to rest on tree branches during the day. One reason why leopard’s sometimes take their prey up in the trees is to ensure lions or hyenas can’t steal them. Discussion and consultation soon replaced confrontation and with it came the realisation that the use of leopard skins by the Shembe elders was purely for aesthetic purposes and not for any mystical link to the values or prowess of the leopard itself which is what everyone had somehow automatically assumed to be the case. Further elucidation occurred when observing the various fakes worn by those members who could not afford the real leopard skins, and this sparked the idea of a developing a convincing fake was born. As the saying goes “the rest is history”! Humans regard animals as worthy of protection only when they are on the verge of extinction. Leopards are predominantly solitary animals that have large territories. While male territories are larger than females and tend to overlap, individuals usually only tolerate intrusion into ranges for mating. They mark their ranges with urine and leave claw marks on trees to warn others to stay away. Tristan with conservationist Dr George Schaller and one of the two snow leopards he successfully trapped during a research trip to the Tibetan plateau. Today Tristan is still very much involved in the Panthera Furs for Life Project and assists the global programme whenever possible. This recently led to an amazing experience when he was asked assist researchers in Tibet/China who are working to protect the endangered Snow Leopard. Tristan’s experience in capturing leopards was needed and put to good use. Working under very difficult conditions he managed to trap and collar two leopards in his short stay. Given the combination of remoteness and language barriers the experience was not without its “not to be forgotten moments”! Whilst the reality of working on trapping Snow Leopards was a dream come true for Tristan, he was somewhat unprepared for the experience of living in a high altitude, desolate and cold environment where no one spoke any English whatsoever! His initial reaction when advised that conditions would be “tough” was to nonchalantly dismiss them, after all he had lived in the bush in Zululand for a number of years and that had toughened him up, so he was ready for any challenge. Living in a monastery with Tibetan Monks may seem idyllic with visions of peace, tranquillity and all things working smoothly in a calm and collected manner. The reality was quite different with a constant hustle and bustle at the monastery as nomads arrived at all times of the day and night and required by local tradition they have to be provided with food on arrival. The ensuing banging of pots and pans and general commotion disrupted everyone’s sleep. But what took Tristan by complete surprise was the relatively poor hygiene conditions. He put this down mostly to the extremely cold weather which made all housekeeping a challenge, but he struggled to understand why no one seemed to wash their clothes! After two weeks of wearing the same clothes Tristan decided that something had to be done and he eventually plucked up the courage and asked the monks to please start up the generator so that he could run the underutilised washing machine and wash his clothes. The monks duly obliged (on payment of the petrol for the generator!) and the washing was soon completed and on the washing line to dry. Tristan was puzzled that no one had offered to add their clothes to the washing machine and noticed some strange looks and the odd shake of the head from the cohabitants at the monastery. With his washing out to dry he happily left for the day’s inspection of the traps knowing that a fresh set of clothes would be waiting on his return. As he returned to the monastery, he could see the toothy smiles on the faces of the locals when he tried to collect his freshly washed clothes. Temperatures in winter are consistently below zero and can drop to minus 23 degrees Celsius so his clothes were ice-starched and made an interesting sight on the washing line. Being a scientist, the freezing of the clothes was not unexpected but what did come as a surprise was that it took 10 days to defrost them! Tristan recalls that “I pretty much managed to get them off the line just before having to return home”! 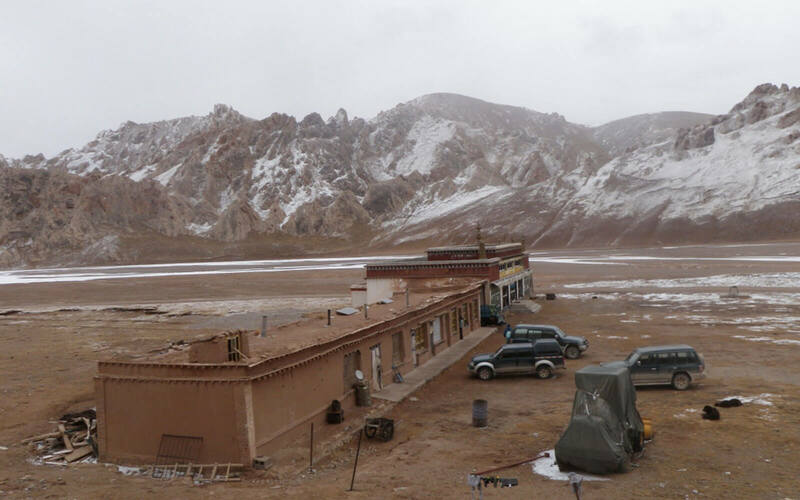 The Buddhist Monastery on the Tibetan Plateau that served as a base for the trapping of the Snow Leopards. Like cats kept as companions, leopards will growl when angry and purr when content. They have various vocalisations such as a rasping cough which they perform to announce their presence to other leopards. Tristan’s love of all things wild was inculcated at a young age with frequent and fondly remembered trips to the Kruger Park with his grandparents who were influential in shaping his passion for nature. Growing up in a small-holding on the East Rand with sheep and other farm animals also helped to inculcate a love for animals and much to his parents surprise his first pet was a snake. The passion for reptiles continues today with Tristan’s work at the reptile section at Phezulu Safari Park and it has been passed on to his two young boys who are fearless at handling reptiles. 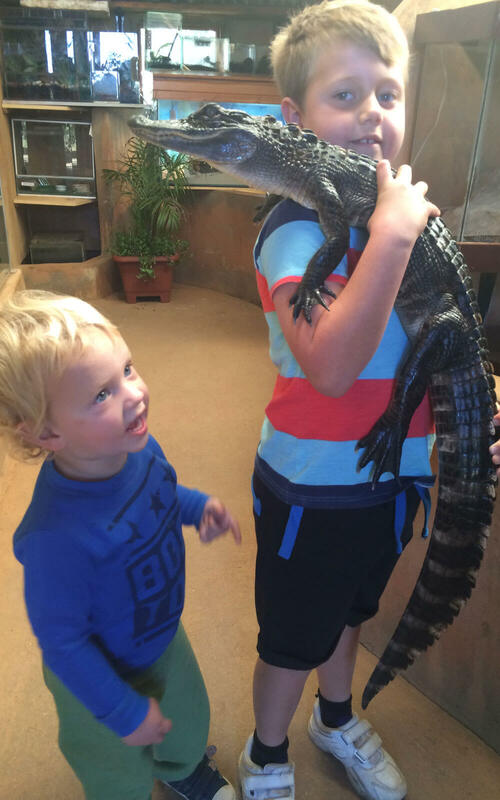 Tristan’s eldest son Connor also has a passion for nature and no fear of reptiles – in photo with his younger brother Jayden. Leopards tend to have distinctive dark spots called rosettes, which create beautiful patterns against their otherwise light fur. Black leopards however have dark fur which makes it difficult to see the spots. They appear almost solid black and are often called black panthers. Despite his early love for nature there is a very pragmatic side to Tristan and so on completing high school he enrolled to study architecture on the basis that this was likely to provide a more lucrative career than any job in nature conservation. But after two years of architectural studies and feeling quite frustrated he decided that continuing with something he was not passionate about was unlikely to make him happy. Tristan then embarked on a series of short-term jobs which included a spell as a barman which to this day he considers a very useful learning experience. Reflecting on that period he described how it taught him patience, how to communicate effectively and how to listen to other points of view, all skills that were to become invaluable when he started interacting with the Shembe elders in years to come. Having abandoned architecture, he eventually followed his passion and enrolled to study biology and behavioural ecology at the University of Kwa-Zulu Natal where he completed his Bachelor of Science Honours in 2004. Armed with his degree and chasing his dream to work in conservation he took up a post as a research assistant for the Pilanesberg National Park Elephant Project. Here he met his future wife, Tarryne who was running the project. 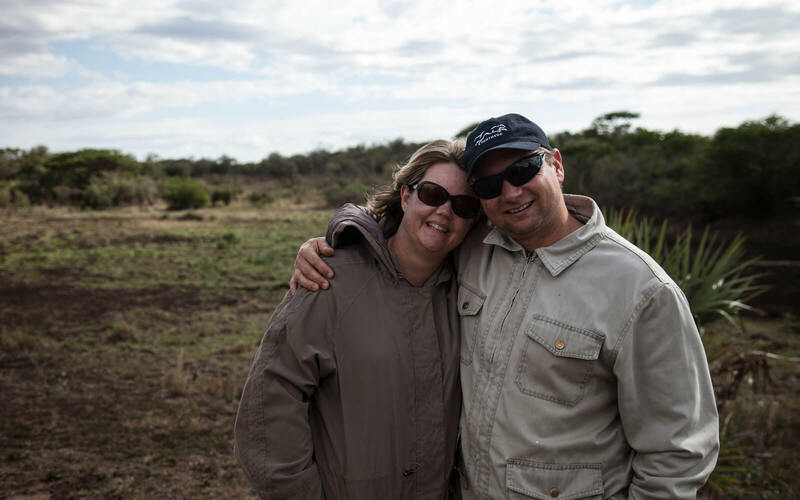 When Tarryne was offered a new challenge at Phinda Private Game Reserve in Zululand, Tristan “tagged along” and his “fate was sealed” when he was asked to look at the reasons for the declining number of leopards in the Phinda area. This is where Tristan’s leopard work began, and which continues to this day. His ten years at Phinda were not only focused on leopards as his passion for wildlife in general lead him to working as Assistant Reserve Manager for two years. The arrival of his two young sons eventually forced a lifestyle adjustment and in February 2014 Tristan took on the post of General Manager at Phezulu Safari Park a post he currently holds and which he says gives him the best of both worlds in that he continues to work on conservation and has a secure base for the upbringing and education of his young children. The development of the fake fur concept has also ignited a previously hidden aspect of Tristan’s talent and that is his entrepreneurial spirit. In order to produce a quality and convincing product that is well accepted he has had to overcome many obstacles and, in the process, has honed his business skills. He has gradually developed his Furs for Life enterprise and now produces fake skins in a spare room at his home in Drummond where he employs up to four local tailors to cut and sow the fake furs. Tristan Dickerson in a room at his house that he has converted into a sewing factory to tailor the fake furs locally. Leopards have the widest range of habitats of all the big cats. This adaptability has allowed them to survive in various different geographic areas. Perhaps the most extreme example is the amazing snow leopard which lives in the Himalayas. It is at Phezulu Safari Park that Tristan is now finding new challenges which relate closely to the work of conservancies in the Upper Highway. Being within the eThekwini Metro Area the safari park faces a myriad of challenges which range from illegal dog hunting, mountains of litter, invasive alien species to the relatively mundane tasks of managing soil erosion. Tristan’s initial response to many of the challenges has been to use the facilities available at the safari park to provide education to local schools and communities on the value of a healthy environment. The safari park has over 25000 school visitors per year mostly from previously disadvantaged areas, but many also come from as far away as Botswana, Lesotho and Swaziland. Tristan sees each visitor as a potential recruit for conservation. Initially the tourists were exposed only to the “traditional” experience a safari park can provide and he has made extensive use of the reptile section as he finds reptiles easy to exhibit, attention-grabbing and impactful. Using the reptile section as a platform, Tristan has gradually expanded the educational component to include the impact of litter on the environment, the importance of water and our rivers and the negative consequences of ignoring invasive alien species. He stresses that even a relatively small space such as a garden is worth protecting and developing into a healthy eco-system. He is determined to use his position at Phezulu as a great opportunity to move people’s behaviour from “I don’t care about the environment” to “I do care about the environment” until the scales tip in favour of the environment. He is also a firm believer in the power of the collective and as an active member of the Drummond Conservancy he encourages all conservancies to do whatever is within their means no matter how small as the collective contribution is greater than the sum of the individual contributions. 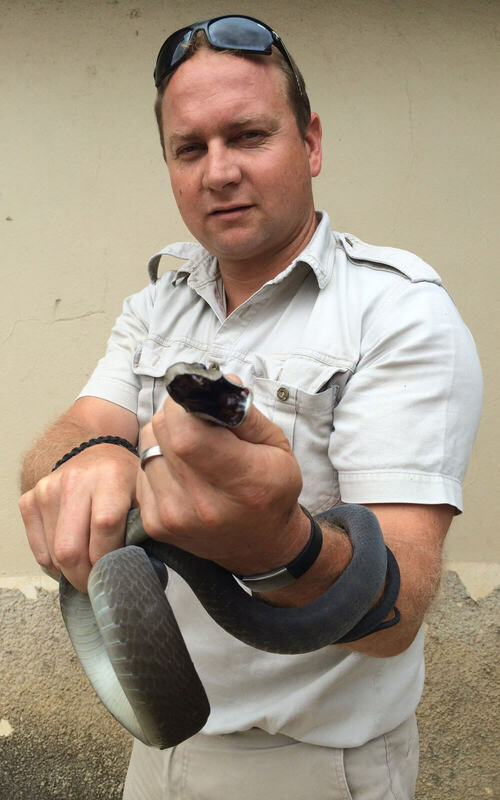 Tristan with a black mamba he removed from a community dwelling. 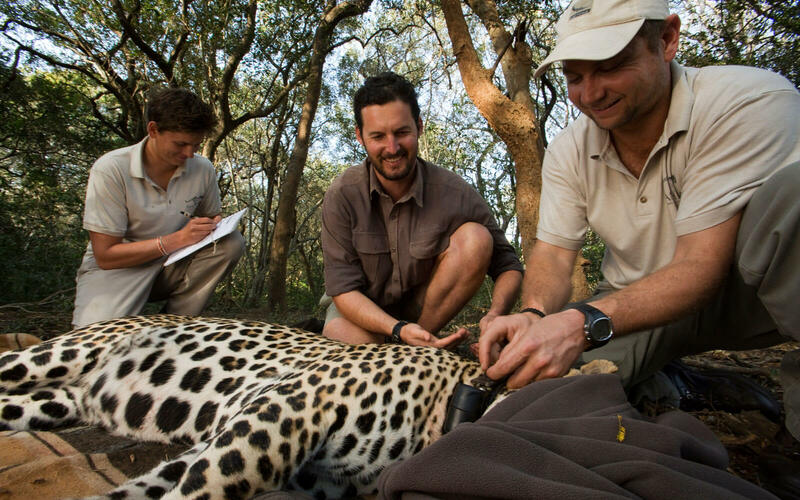 Tristan fitting a tracking collar on a Leopard in Phinda Private Game Reserve. It is somewhat ironic that Tristan’s efforts to save the leopard are the subject of an article in this e-magazine titled “The Leopard’s Echo”. The name of the magazine was specifically chosen by the founding editor to remind us of our very own “lost” species in Kloof as highlighted in Robin Lamplough’s article in the July 2015 edition where he described the last reliable sighting of leopard’s in Kloof and which included a cutting from the Daily News dated 5 May 1973! Even though our local leopards are long gone there is still much work to be done in our area to prevent further species loss. The Upper Highway continues to develop at a rapid pace with green spaces succumbing to developments on a regular basis and we would all do well to heed Tristan’s experience with the leopards. 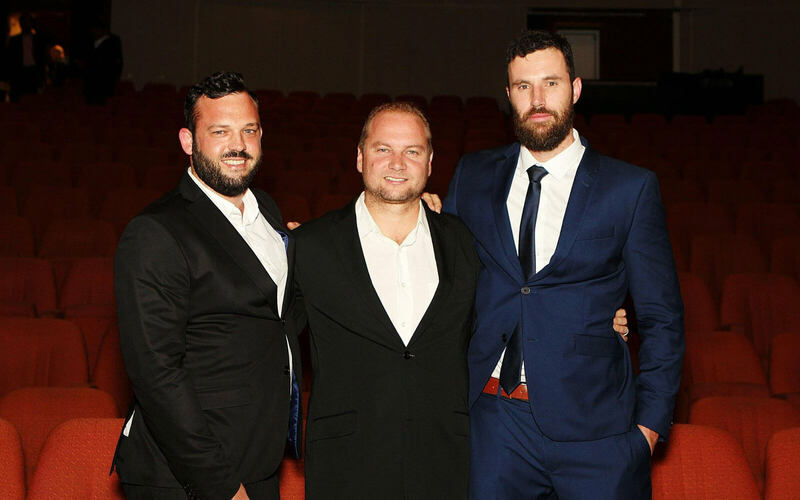 Tristan is also a director of a conservation fund based in KZN that focuses on funding an informant network which helps in the fight against rhino poaching. 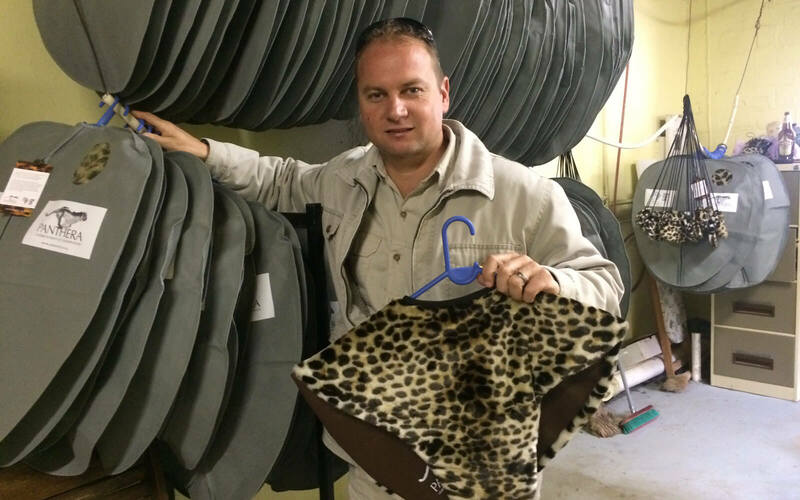 In all he does Tristan says that he reflects back on his success with the fake fur project and how one relatively simple idea has changed the prospects of the leopard’s survival in Zululand and elsewhere. When he looks at the challenges we all face as conservationists he reminds us to look through the clutter and to look for simplicity and find “just one good idea which will make an enormous difference” – he has done it before and he believes it can be done again and that the environment will be the ultimate beneficiary – a true member of the Eco-impi!